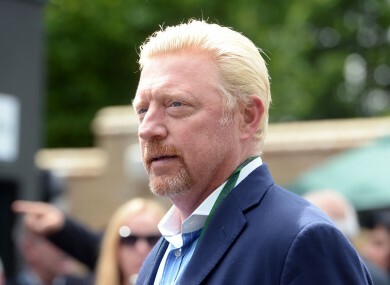 FORMER GERMAN TENNIS star Boris Becker has been declared bankrupt by a court in London after failing to pay a “substantial” long-standing debt since 2015. Laywers for the the three-time Wimbledon champion pleaded with a Bankruptcy Court registrar on Wednesday to allow Becker a “last chance” to pay off the debt. “One has the impression of a man with his head in the sand,” she said of the six-time major winner after making the bankruptcy order following a brief hearing. The German’s lawyers had argued there was sufficient evidence to show that he would be able to pay the debt soon through a refinancing arrangement, involving remortgaging a property in Mallorca, which was expected to raise six million euros ($6.7 million). Becker’s advocate said his client was not likely to benefit from bankruptcy and it could have an adverse effect on his “image”. Email “Boris Becker declared bankrupt after failing to pay 'substantial' debt”. Feedback on “Boris Becker declared bankrupt after failing to pay 'substantial' debt”.